Home > arts-n-rec > Two Tickets Please! Ms. Siegel has specialized in arts and disability issues for over 30 years starting at Arena Stage in Washington, D.C. and now as Director of VSA and Accessibility at the John F. Kennedy Center for the Performing Arts. 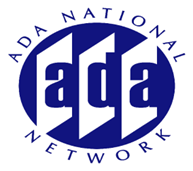 She oversees national and international disability, arts and education programs including the VSA Network of organizations engaging in disability arts and education and the LEAD (Leadership Exchange in Arts and Disability) network of cultural arts administrators addressing access to cultural experiences. She is a respected expert and speaker on topics related to disability rights, compliance with disability laws and regulations, the arts and disability, and to accessibility to cultural programs and venues for individuals of all ages with disabilities. Ms. Siegel obtained her JD in 2009 from the Columbus School of Law at Catholic University and is licensed to practice law in the Commonwealth of Virginia. 05/26/2016 - Two Tickets Please!